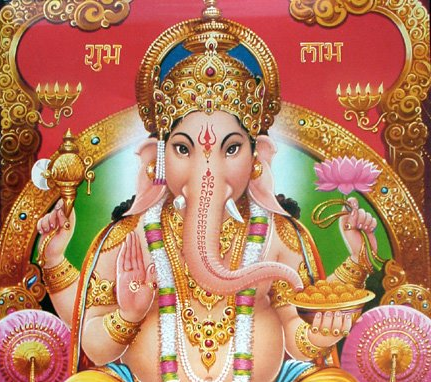 In this workshop we will hear the mythical stories of Ganesh that give us insight and understanding of our own experience of our bodies, hearts and souls. Through these stories we’ll practice with alignment based creative vinyasa and incorporate yogic philosophy that will teach us how to integrate our yoga and these myths into everyday living. Traditionally Ganesh is said to be the remover of obstacles. Usually the greatest obstacle we each face is ourselves! Ganesh also represents the capacity to listen, to attune to our heart teacher, to become more sensitive before we rush into action. Through the morning session we will move through a progressive vinyasa sequence that will connect us to the flow of our hearts so that we begin to know ourselves more fully and become more sensitive to our own flow and the flow around us. The theme will continue in the afternoon with with pranayama, meditation and a guided relaxation. Expect chanting, mudra’s, mantra’s, meditations and flows together with stories, laughter and heaps of fun! This workshop is open to all levels of practitioner & can be counted as CPD points. Jill Amison is a Senior Yoga Teacher & Yoga Therapist based in Staffordshire, UK. Since becoming certified as a yoga teacher at The Expanding Light Center in 2002, Jill has been encouraging others to realize their full potential through yoga. Teaching alignment based creative vinyasa flow Jill uses small steps to work towards a peak pose, choosing a path that suits the needs & the abilities of the students she’s working with. Her teaching style emphasizes energetic & postural alignment, yogic philosophy & inspiring confidence to listen, respond & move from one’s own centre of truth. Jill also holds a BWY Diploma after completing 500hr teacher training with Yoga Campus & is registered as a Senior Yoga Teacher with the Yoga Alliance. She also qualified as a yoga therapist, with the Yoga Biomedical Trust & The Life Center, Jill has witnessed the healing benefits of yoga. Jill has gained experience in using traditional yoga practices to assist in the healing process & pain management of a large variety of ailments & conditions and specializes in Yoga for those Living with Cancer. She is a registered Yoga Therapist with the CNHC – the Complimentary & Natural Health Care Council. She is a Contact Teacher and Mentor for the Yoga Teacher Training Program and the Yoga Therapy Diploma run by Yoga Campus in London. Jill is also now teaching on both of those training programs too.